Will it ever end? Another range of new LED ‘cans’! This time the technology has brought us another breakthrough.. The COB parcan .. tadaahh! What the $&^% is COB do you ask? Well, it’s an abbreviated term for Chips On Board, where multiple LED chips are assembled together to make one giant LED light source. So these cans have ONE single 100W RGB LED in the middle instead of the multiple LED’s that you are used to seeing with the LED cans these days, that’s it! But don’t take our word for it, you’ve got to see these to believe the smooth colour mix, seriously! Also in stock are the new FLAT1012’s which we also think are awesome. 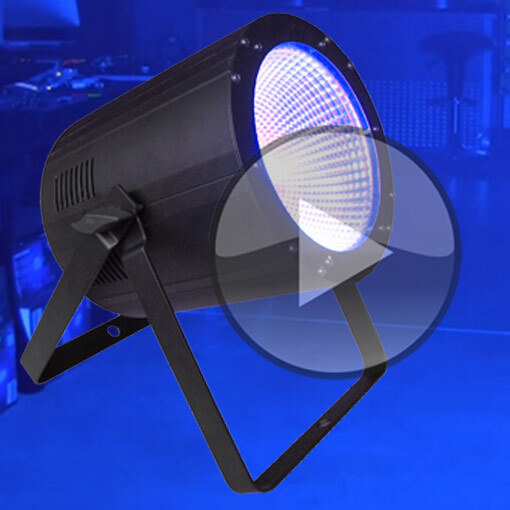 They pack a punch with 12x10W RGB+White+UV LED’s. It’s the brightest all-in-one flat can around and still more affordable than the competition. Brighter and cheaper.. What more can you ask for?? Check it out yourself! Lightsounds Canterbury gets moving!Unique in today’s market!